Mercury - by Mick Smith. 8ft span free flight power model, suitable for radio control. 1250 sq in area. Weight 80oz. Power 10-16cc motors. 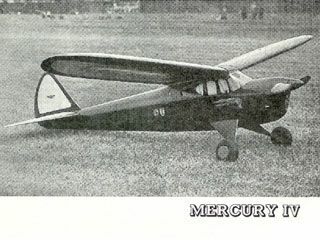 From Aeromodeller March 1953. The model dates from 1946, but the plan only appeared in Aeromodeller later, in 1953. 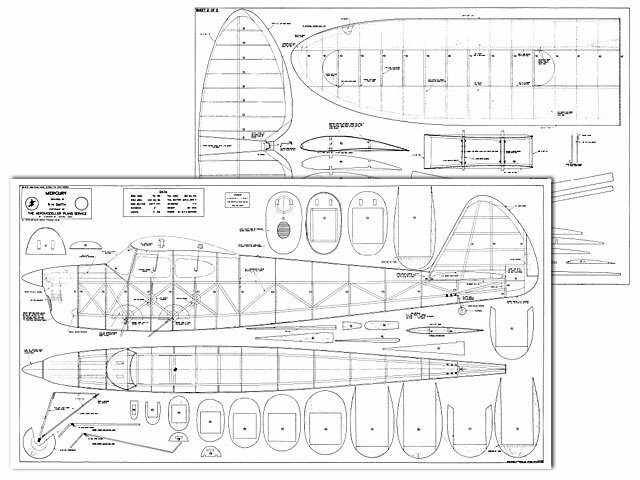 The Belair parts set includes all shaped balsa and plywood parts to build the model - plan to use is the original Aeromodeller plan available from My Hobbystore or use your original plan.